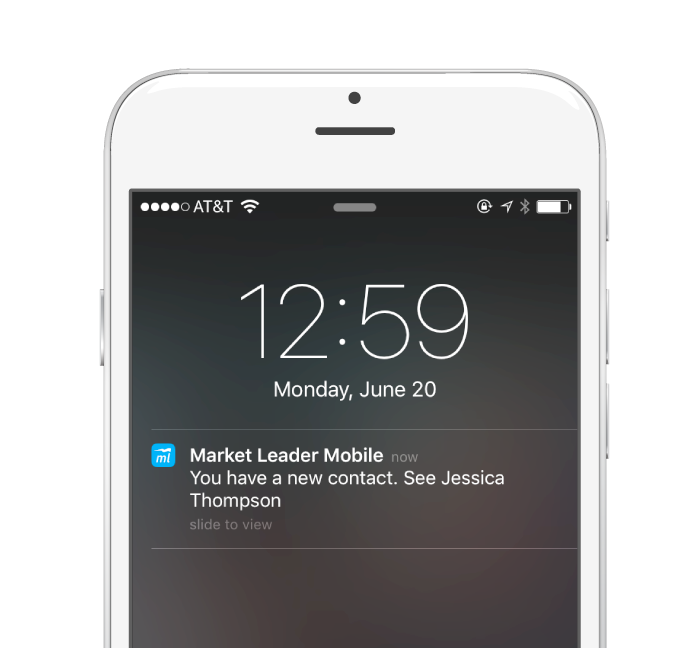 Introducing the Market Leader mobile app. Speed wins. 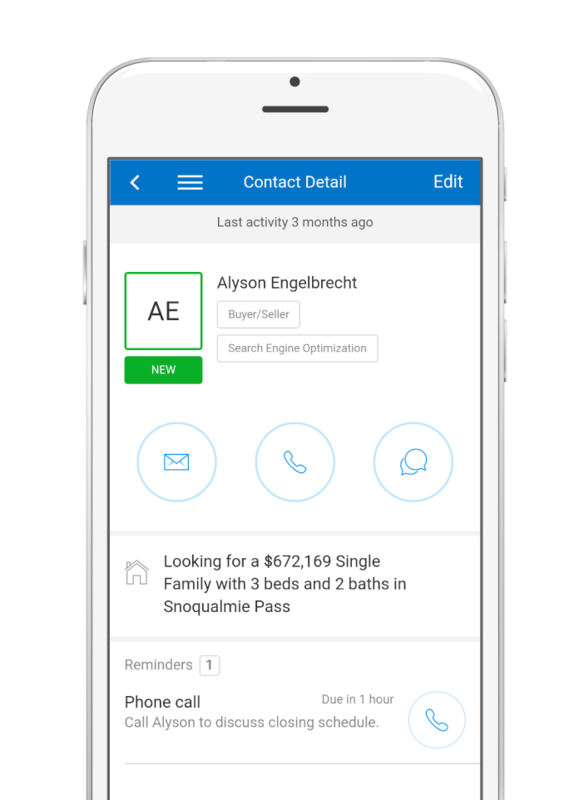 Respond to new leads quickly and effectively with real-time push notifications and contact records including lead insights. Easily navigate to see which reminders are due today, tomorrow, the past and the future. 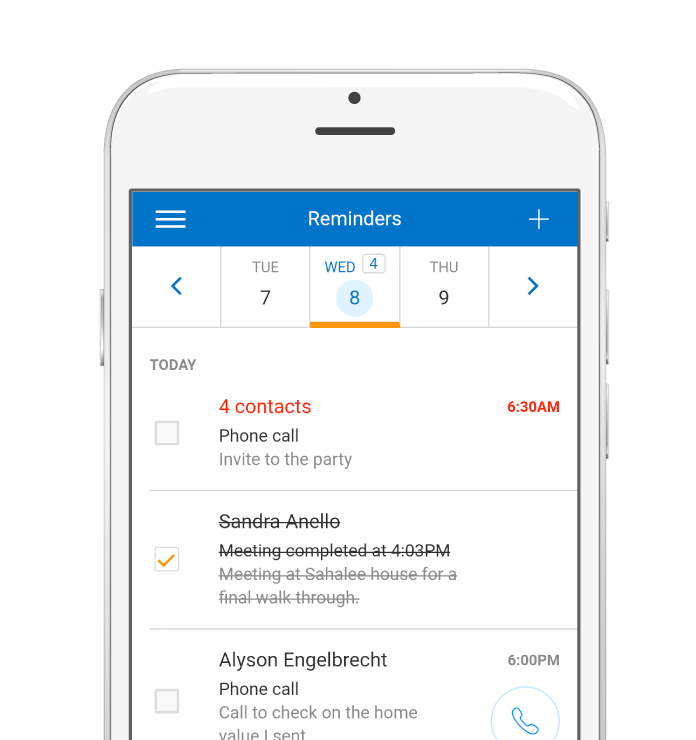 Accessing and working with your contacts has never been easier. 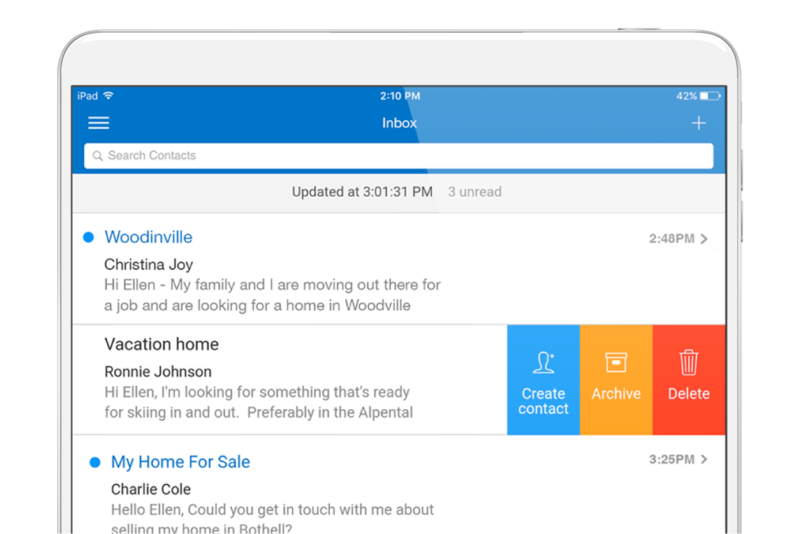 All email activity is synched with your desktop CRM so you’ll never miss a beat! Take your productivity to a whole new level.